As wedding invites are sent to family and friends, we thought the best place was to put it in the internal communications section. 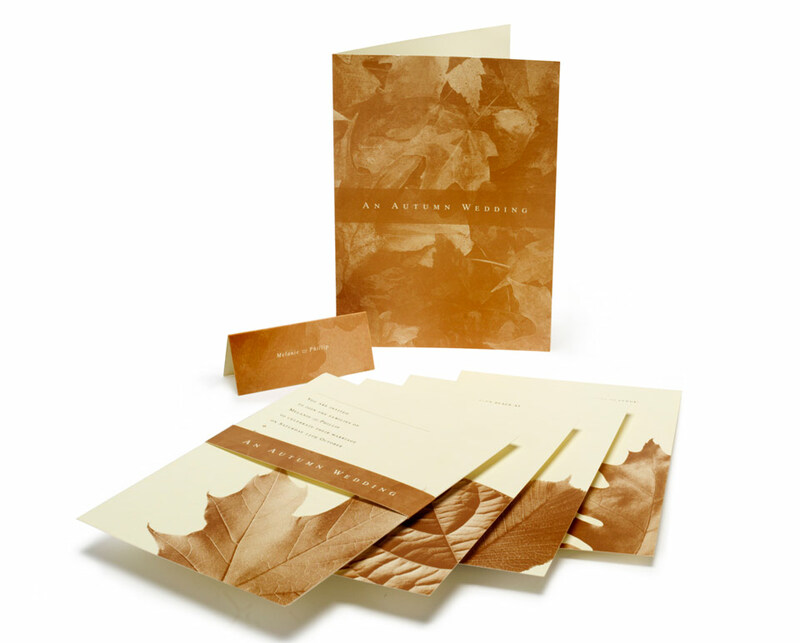 Autumn colours and falling leaves were the elements used in this simple but elegant invitation pack. Sheets gave information on the venue, times and directions, with the design continuing onto menus, name and thank you cards. Printed with just two metallic inks on a coloured stock, it looked and felt far more expensive than it really was!